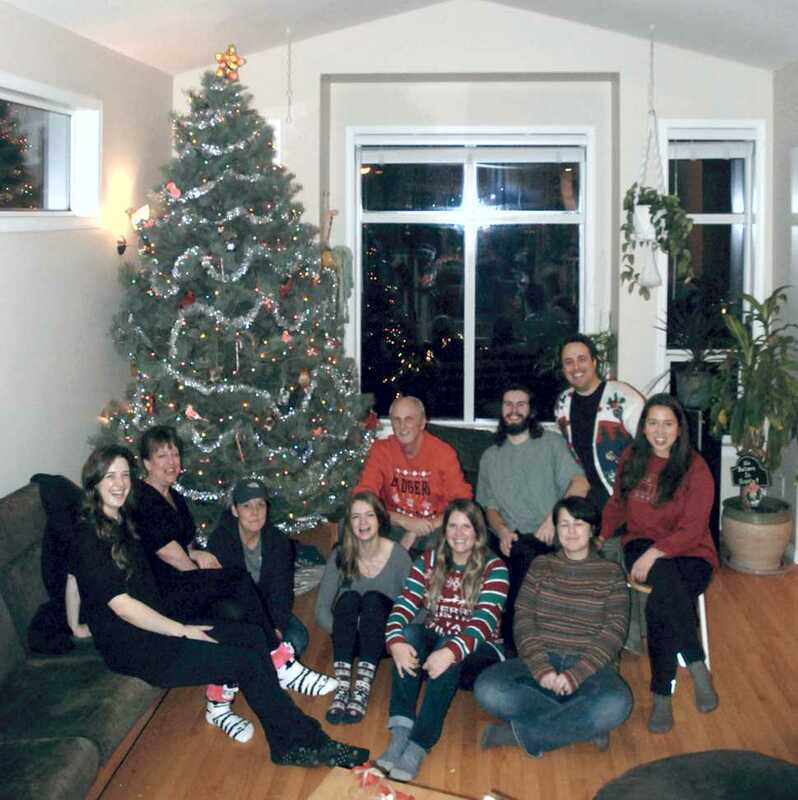 Christmas Social 2018 comes and goes…..
Congratulations are due to Dana for being among the grad students at TRU to receive a Ken Lepin Award in 2018. 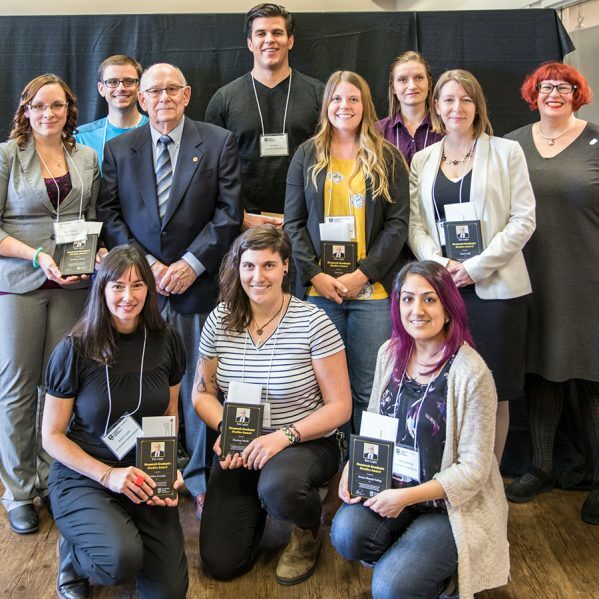 The awards are based on outstanding academic achievement, leadership, and research. Dana (yellow shirt in photo) has been very active in conservation both before and during her thesis work. 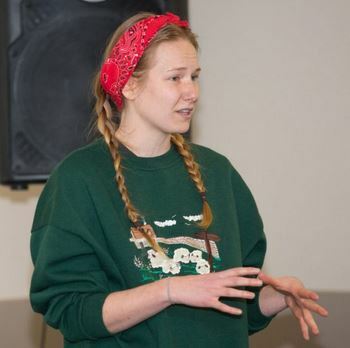 Stephanie’s work on the road ecology of rattlesnakes in the South Okanagan was the subject of a recent article released by The Canadian Press. Her work, which included a ‘population viability analysis’ model, shows the pessimistic prospects for her study population unless mitigation actions prove successful in decreasing road mortality [unfortunately, Stephanie herself is not named in the article – but it’s all her thesis research! ]. Click HERE to see the article on the Globe & Mail website. Stephanie defends her thesis on road impacts on rattlesnakes! Stephanie Winton successfully defended her thesis on September 20th. Her external examiner was Dr. Tony Clevenger, a well-known expert on the effects of roads on wildlife. The very next day, Stephanie presented her work during the Roads & Herpetiles Workshop, as part of the annual meeting of the Canadian Herpetological Society. Congratulations, Stephanie! 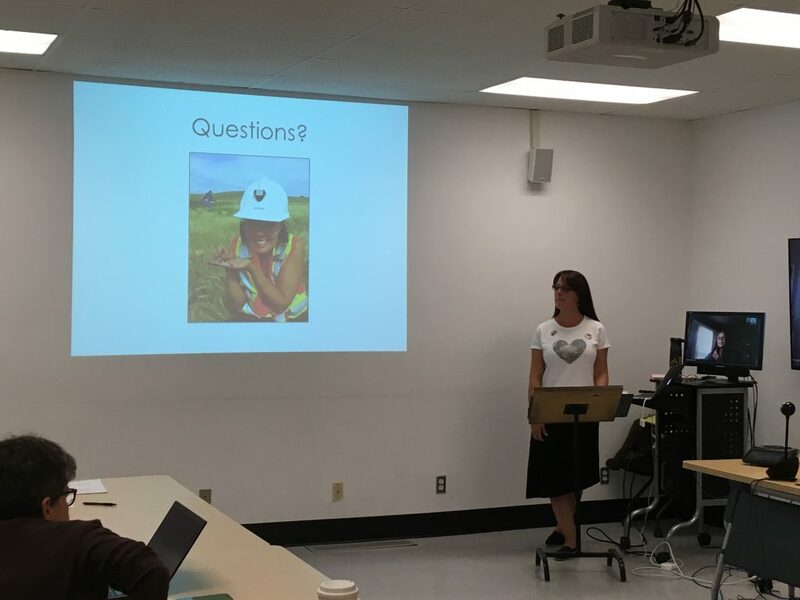 JoAnne Hales successfully defended her thesis on spadefoot habitat use on Thursday, June 21, 2018. Dr. Kriistina Ovaska served as external examiner. Congrats Jo. Already?!?!? We held our 2017 ‘lab’ holiday social on December 11th, and an amazing collaborative feast took place . Stephanie organized a great rotating gift exchange with everyone walking away with ‘interesting’ little presents. Thanks to everyone for helping with the preparation and cooking. 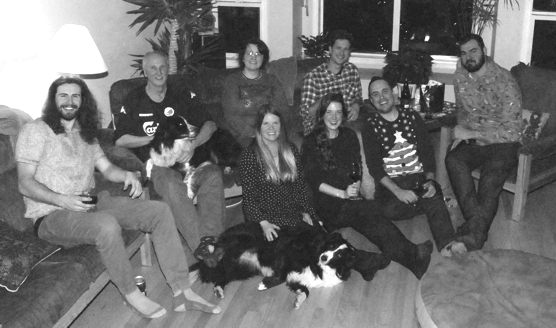 Back row: Karl, Cole, Jared and Anna. Front row: Steph, Cheryl, JoAnne, Sydney, Dana, and Edyta. 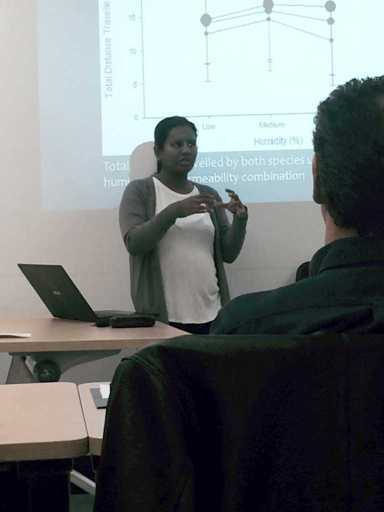 Sasindu defends her roly-poly thesis! More good news from the lab as Sasindu Gunawardana successfully defended her thesis on November 30, 2017. Sasindu created microcosm ‘worlds’ to test how combinations of factors affected the decisions of isopods (‘roly polys’ and sowbugs) to leave and travel away from familiar habitat. Special thanks to Dr. Jim Hare from the University of Manitoba who traveled all the way from Winnipeg to serve as external examiner on the thesis. Congratulations, Sasindu.